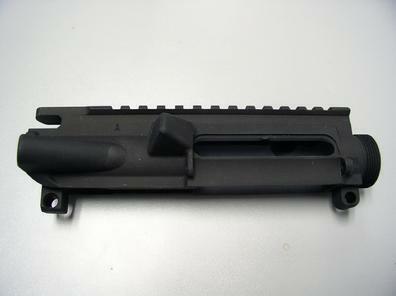 M15SA Uppers & Lowers - LRB of Long Island, Inc.
Our semi auto LRB ARMS M15SA upper and lower receivers are made from aircraft grade 7075-T6 aluminum forgings same as currently used by US military. The forgings are CNC machined on the same state of the art equipment which manufactures our M14SA receivers with tolerances held to one thousandth of an inch. Finish is a hard coat anodize per MIL-A-8625. Our lower receiver accepts all mil-spec internal parts and are compatable with all other manufacturers mil-spec upper receivers. Made in USA.